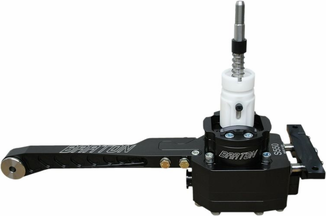 Barton Short Throw Shifter for all 2015 EcoBoost and V6 Mustangs with a Manual Transmission. 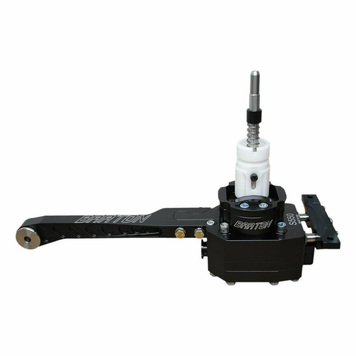 If you are looking for quicker and more accurate shifts from your 2015 Manual Transmission Mustang GT, then look no further than the Barton Industries Short Throw Shifter. Built right here in the USA from the highest quality materials available and featuring a 25% reduction in shift throws, it’s no wonder that the Barton Industries Short Throw Shifter is considered to be one of the most anticipated modifications for the new 2015 Mustang GT. With a total redesign in 2015 for the Mustang, Barton Industries had to step up and totally redesign their Short Throw Shifter that has been so popular in the previous generation. The new shifter is machined from 303 Stainless Steel and 6061T6 Billet Aluminum. And will ship with all necessary hardware and sound insulation to complete the installation. Please Note: Your shift knob will need to screw on 6 turns for proper function of reverse lock-out. Repeated removal of factory shift knob may warrant the need to use Loctite to keep securely in the proper location.